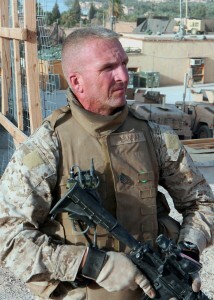 Gunnery Sergeant Jim Lanham, Kilo Company. Haqlaniyah, Iraq. June 2006. Sergeant Major Lanham is a native of Ft. Rucker Alabama. He enlisted in the Marine Corps in December 1990 attended recruit training at MCRD Parris Island South Carolina. After completing School of Infantry training he was assigned the MOS 0311, rifleman. Following School of Infantry Training Private First Class Lanham was selected to attend the Marine Security Guard School at Dam Neck Virginia. Upon completion of Security Guard school Private First Class Lanham was transferred to Yorktown Virginia for duty as a Marine Security Guard. While assigned to Yorktown Virginia, he was subsequently promoted to the rank of Lance Corporal and served as a security Guard and Corporal of the guard. In February 1992, Lance Corporal Lanham was transferred to Camp Lejeune North Carolina for Duty with2nd Battalion 4thMarines 2ndMarine Division. On the First of February 1993 Lance Corporal Lanham was promoted to the rank of Corporal. From May to October 1994, he participated in Operation SEA SIGNAL, fulfilling Haitian and Cuban migrant humanitarian missions both while embarked, and ashore at Guantanamo Bay, Cuba. Corporal Lanham also served as Police Sergeant and later Platoon Sergeant for 3rdPlatoon Fox Company. While assigned to Fox Company Corporal Lanham deployed to Okinawa Japan. On February 1, 1995 Corporal Lanham was promoted to the rank of Sergeant and deployed as a member of BLT 2/6, 26th MEU(SOC), from August 1995 to February 1996, he participated in Operations DENY FLIGHT and JOINT/DECISIVE ENDEAVOR. In October 1996, Sergeant Lanham reported to Drill Instructor School, Parris Island South Carolina for duty as a student. Upon completion of Drill Instructor School in December 1996 Sergeant Lanham was assigned to Echo Company 2nd Recruit Training Battalion for Duty as a Drill Instructor. While there Sergeant Lanham was promoted to the rank of Staff Sergeant and served as a Drill Instructor and Senior Drill Instructor. In December 1999, Staff Sergeant Lanham was transferred to Golf Company 2nd Battalion 3rd Marines, Marines Corps Base Hawaii where he was assigned as a Platoon Sergeant. Staff Sergeant Lanham then deployed to Okinawa Japan. Upon completion of this deployment Staff Sergeant Lanham was picked to take a Platoon of Marines to the Kwajalein Atoll to provide security for a missile test. Upon completion Staff Sergeant Lanham was assigned as Company Gunnery Sergeant for Golf Company 2nd Battalion 3rd Marines, 3rd Marine Division. In December 2002, Staff Sergeant Lanham was selected and transferred to Assistant Marine Officer Instructor Duty at Duke University and the University of North Carolina at Chapel Hill. On October 1st2003 Staff Sergeant Lanham was promoted to the rank of Gunnery Sergeant. Gunnery Sergeant Lanham also served as Sergeant Instructor at Officer Candidate School during the summer months of this duty. In August 2005 Gunnery Sergeant Lanham was transferred to Kilo Company 3rd Battalion, 3rd Marines for duty as a Company Gunnery Sergeant. 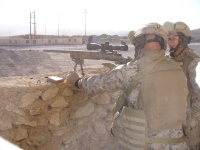 In February 2006 Gunnery Sergeant Lanham was deployed to Iraq during Operation IRAQI FREEDOM 05-07. Upon returning from Iraq Gunnery Sergeant Lanham was promoted to the rank of First Sergeant and transferred to Lima Company 3d Battalion 3d Marines were he deployed to Iraq in support of Operation IRAQI FREEDOM 06-08 as the Company First Sergeant. In June of 2008 First Sergeant Lanham was transferred to Marine Wing Support Squadron 472 Detachment A where he served as the Site First Sergeant. In July 2010 First Sergeant Lanham was promoted to the rank of Sergeant Major and transferred to 3rd Battalion 6th Marine Regiment where he served as the Battalion Sergeant Major. During this tour he deployed to Afghanistan and upon return participated in the unit deployment program (UDP), deploying to Okinawa Japan in 2013. In December 2013 Sergeant Major Lanham was transferred to Recruiting Station Raleigh NC. 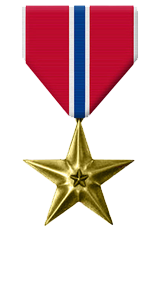 Sergeant Major Lanham’s personal awards include the Bronze Star Medal with Gold Star, Meritorious Service Medal, Navy-Marine Corps Commendation Medal with two gold stars and Combat “V”, Navy-Marine Corps Achievement Medal with two gold stars, Outstanding Volunteer Service Medal and the Combat Action Ribbon. 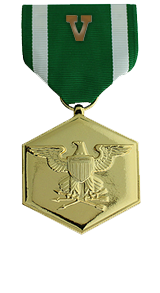 For meritorious achievement in connection with combat operations involving conflict with an opposing force while serving as Company First Sergeant, Company L, 3D Battalion, 3D Marines, Regimental Combat Team 1, I Marine Expeditionary Force (Forward) from 1 August 2007 to 20 February 2008 in support of Operation IRAQI FREEDOM 06-08 and FY 08. First Sergeant Lanham’s unparalleled leadership, mentorship and tactical proficiency distinguished him during seven months of demanding counterinsurgency and reconstruction operations in Al-Karmah, Iraq. First Sergeant Lanham’s commanding presence and strict enforcement of standards cultivated professional attitudes and a sense of duty among the Marines and Sailors during hundreds of combat patrols and at the Company;s three Forward Operating Bases. During a complex attack on the Iraqi Police Station on 5 October 2007, First Sergeant Lanham took control of the Company’s Combat Operations Center, directed the employment of Quick Reaction Forces, requested Close Air Support assets, and provided the commander with real-time updates, affording him the freedom to move to the point of attack. First Sergeant Lanham’s natural ability to teach and mentor the Company’s junior officers, Staff Non-Commissioned Officers, and junior Marines and Sailors alike was inspirational to all and was absolutely critical to the Company’s success. Furthermore, First Sergeant Lanham’s relentless efforts across all counterinsurgency lines of operation had a profound impact in neutralizing the insurgency. First Sergeant Lanham’s total effectiveness, forceful leadership, and loyal devotion to duty reflected great credit upon him and were in keeping with the highest traditions of the Marine Corps and the United States Naval Service.